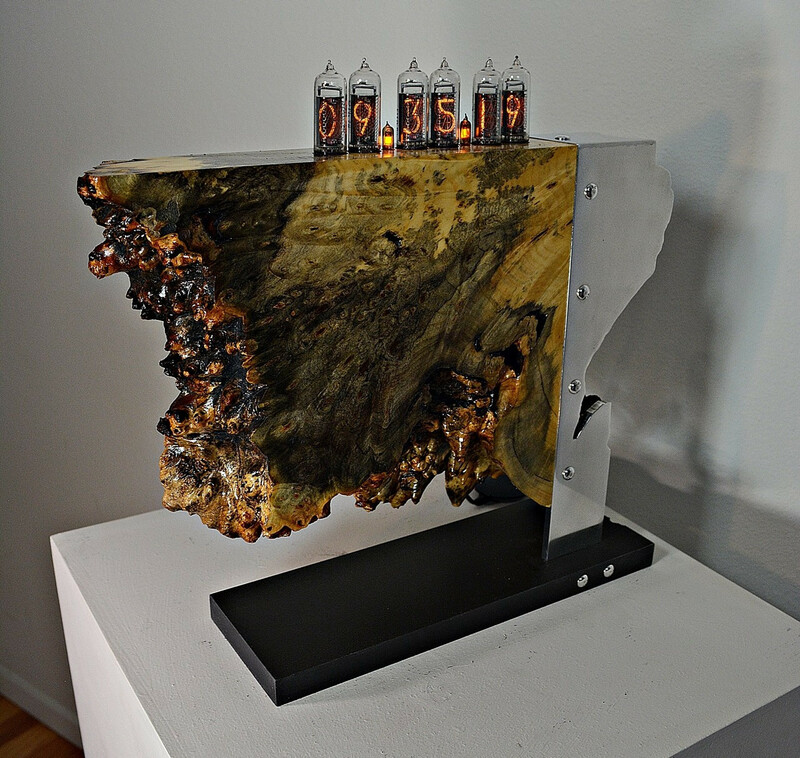 This nixie clock design combines Buckeye burl accented with polished aluminum and HDPE base. "The first to appologize is the bravest. The first to forgive is the strongest. The first to forget is the happiest." The design idea behind this clock was to incorporate the natural beauty of the burl accented with an asymmetric offset aluminum support and contrasting base.